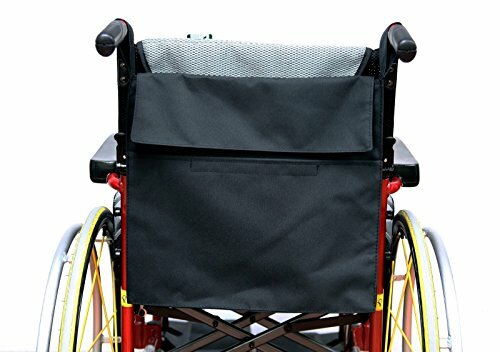 Karman Universal Carry Pouch, Black, 16"x15"
The Karman Healthcare CP4 carry pouch is the perfect accessory for any manual or power wheelchair with handles. The CP4 carry pouch mounts to the rear push handles of any wheelchair, and is suitable for indoor and outdoor use in storing personal belongings. A water repellant exterior allows for use outdoors. Dimensions are 15"x14". Compatible with most wheelchair which features companion push handles. If you have any questions about this product by Karman, contact us by completing and submitting the form below. If you are looking for a specif part number, please include it with your message.